at least, I suppose, they're honest. Because that's where all the calories go, right? Too funny - "big hip". 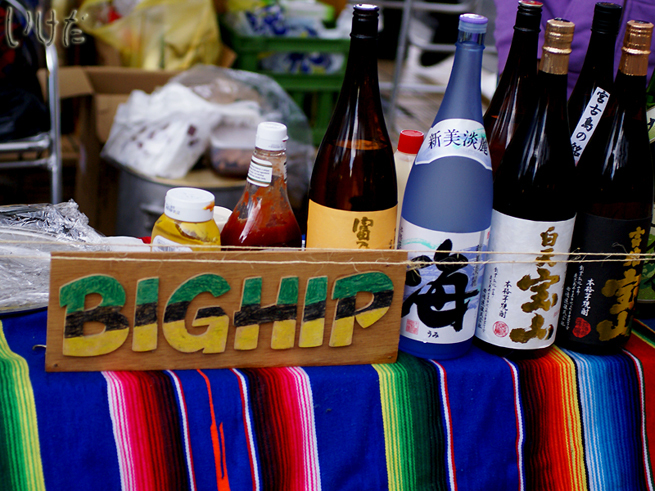 I'll have some more catsup and mustard on my sake, please. they were also selling snacks, but yeah, the placement of ketchup and mustard is unfortunate. But it made the photo. LOL! Wonderful, watery Wednesday! The colors, the water, ahhhh!